Use of manufactured roof trusses can dramatically cut labor costs when framing a gable roof compared to building rafters. Trusses can be constructed with smaller sized lumber than rafters and often their cost is not significantly higher than normal rafters. Since they can be fastened directly in place much less labor is required compared to bird mouth, plumb, and tail cuts on individual rafters. Our roof truss calculator can be used to aid you in the purchase of your trusses by determining the quantity of trusses and lineal feet required. 20' 2x4 #2 2x4 #2 2x4 #2 72" 24"
24' 2x4 #2 2x4 #2 2x4 #2 72" 24"
30' 2x6 #2 2x4 2400f-1.8E 2x4 #2 72" 24"
36' 2x6 #1 2x6 #1 2x4 #2 72" 24"
40' 2x6 #1 2x4 2100f-1.8E 2x4 #2 72" 24"
Connector plates are generally 16 gauge to 20 gauge depending on truss design requirements. The information provided here is not intended to replace truss drawings. 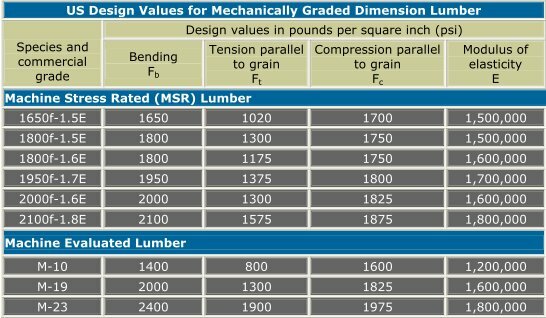 Engineered truss drawings should be obtained for specific site locations incorporating specific snow load, wind speed, eave wall height, building length and importance factor (use of building).